ONGC Apprentices Result 2019 – Oil and Natural Gas Corporation Limited (ONGC) has declared the sector-wise ONGC Apprentices Result on April 03, 2019. The result is in the form of pdf and declared at the official website i.e. ongcapprentices.co.in. The ONGC Apprentices Result 2019 is be based on the marks obtained by the candidates in the respective trade of qualification. The candidates whose name are there in the result those are tentatively shortlisted for document verification round. The ONGC Apprentices 2019 Document Verification round will be conducted from April 8 to 12, 2019. After the successful conduction of the document verification merit list will be released. 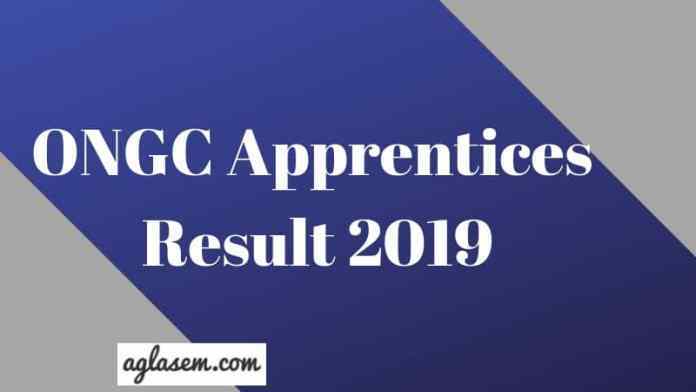 Check here entire details regarding ONGC Apprentices Result 2019. If in the case the candidates will obtain a similar number in the merit list then the candidates whose age is higher those will be preferred. The candidates who will be selected those will be sent provisional offer letter of training via mail. For more information regarding ONGC Apprentices Result 2019 check the schedule given below. Result: Click Here to check the ONGC Apprentices Result 2019. How To Check ONGC Apprentices Result 2019? After checking the result candidates should take the print out of it for future reference. Candidates can follow the steps given below for checking the ONGC Apprentices Result 2019. Thereafter, the result pdf will open on the new screen. Click on the download option for downloading the result. The candidate’s selection for ONGC Apprentices Recruitment 2019 is done on the basis of the marks obtained by the candidates in the stated qualification and Merit drawn thereon. If in the case the candidates are obtained a similar number in the merit list then the candidates whose age will be higher those will be considered for the further recruitment process. The candidates whose name will be there in the merit list those will be called for the document verification round and for the candidates, it will be also mandatory to qualify the round. 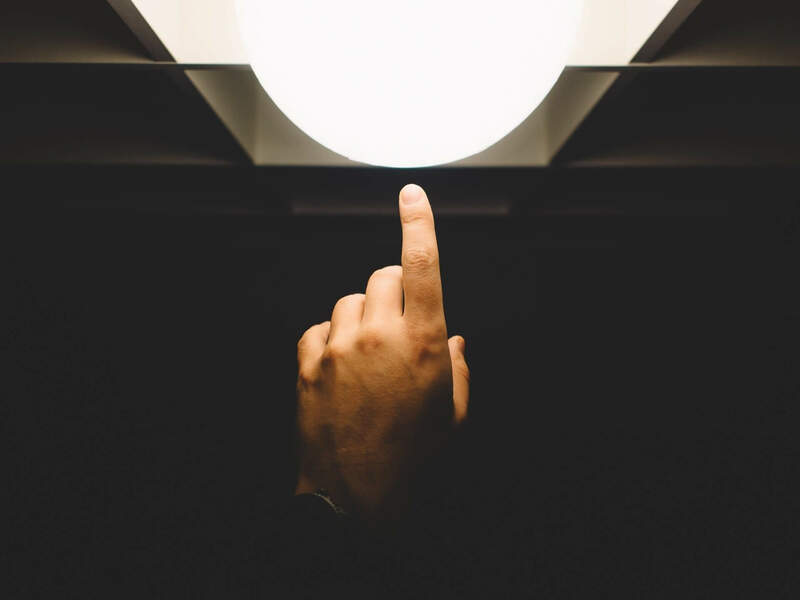 Minimum Qualifying Marks: The General / OBC and SC / ST / PWD category candidates must have obtained a minimum of 45% and 40% aggregate marks respectively. The appointed candidates for training will be sent provisional offer letter of training via mail. The appointed candidates will undergo for 12 months of training. The candidates selected for the apprentices training will be given monthly stipend but during the training, the trainee will be not given the benefits of any TA-DA/Boarding or Lodging expenses. 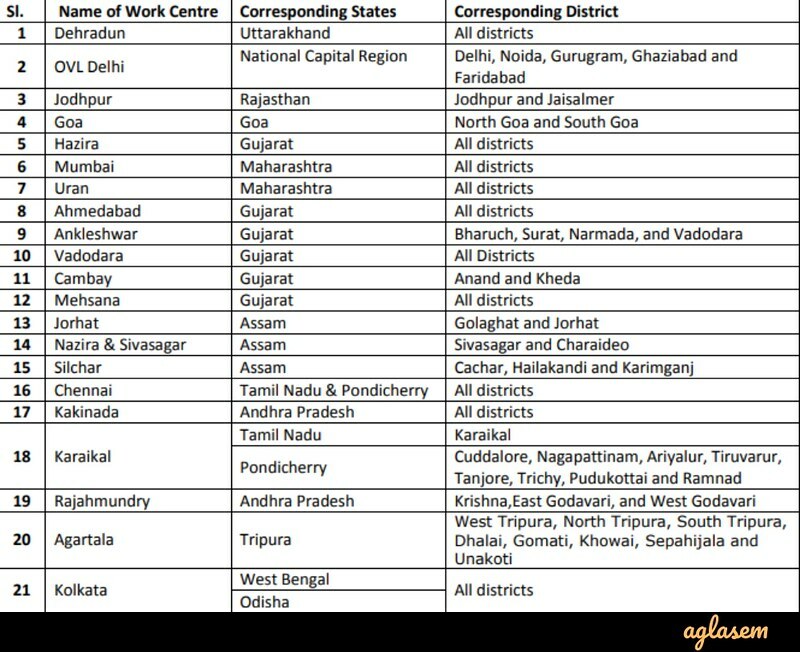 The candidates appointed for the applied post those will be assigned work center among the below-mentioned center list.